Our expertise in building contextually sensitive, plant-focused education environments, helped us to arrive at Toledo Botanical Garden ready to answer the institution’s request for the design of a Discovery Trail experience. After a tour of the garden, we discovered a landscape already rich with opportunities for enhancement that could be connected through a larger thematic idea. We also identified some issues such as wayfinding and the need for overall garden signage that we hope the Discovery Trail will begin to address. Most importantly, our work with TBG staff led us to understand that “permission to play” and “playable places” are key concepts that need to be woven into the trail so as to help visitors understand where these areas of intense activity are intended to be. The trail consists of four major playable places that are connected by a loop trail which carries the visitor across the entire property, highlighting playable moments and urging them to visit larger playable places in strategic locations throughout the garden. The destinations marked for enhancement include The Secret Forest, a nature-inspired, imaginative play destination serving the picnic area by the Garden’s east entrance will attract families with children of all ages and be within a short distance of the parking area and existing restrooms. Also along the trail, adjacent to the existing Education building, is the Nature Lab, a garden classroom providing natural science education opportunities in a playful context. The Pondside Meadow, further along the trail to the south, is a gallery in nature featuring installation artworks that provide visitors with an immersive experience in a meadow of native perennials and grasses. Firefly Woods completes the loop and offers a range of construction play opportunities using natural materials, and can serve the larger community as a stand-alone destination conveniently located by the west parking lot. Despite these garden spaces already being present, they require a boost in programming and a thematic connection to fully realize their potential as destinations along a legible, unified trail. Lift believes the most efficient and effective use of Toledo Botanical Garden’s resources is to invest in iconic spaces with an established record of public interest and amplify their ecological and human service. Through their unification under the theme of creative, play-based learning, Lift helps Toledo Botanical Garden forward its mission of nurturing personal development through stewardship of horticulture, the arts, and nature. The Arboretum's newest feature, located by the Marion Andrus Learning Center, is both a wonderful play destination for young families and a rich "idea place" for preschools, childcares and family backyards. We are working with the North Carolina Botanical Gardens education staff, designing the Children’s Wonder Garden. 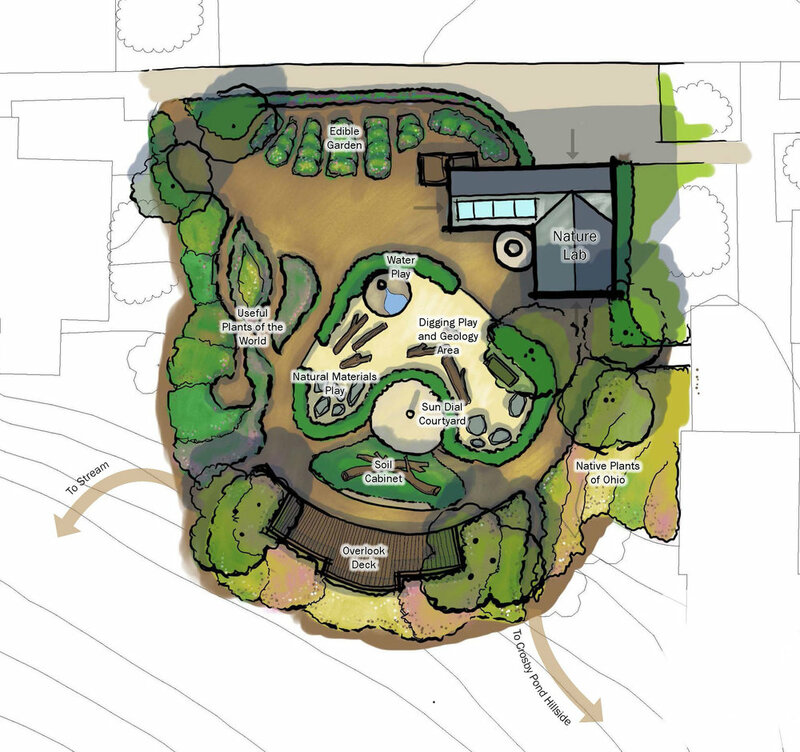 This will be the first public garden space in the Triangle area that is fully geared towards promoting contact with nature for young children. 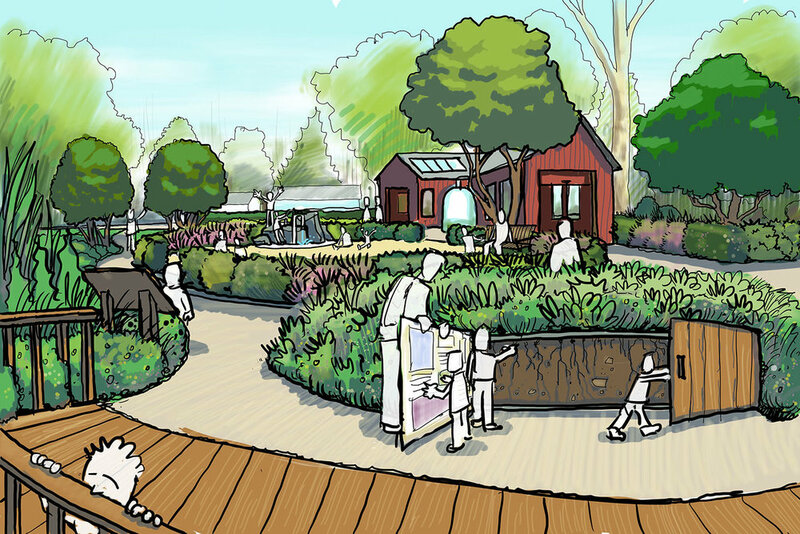 The Family Adventure Garden will be a place for children to explore water, wildlife, and local nature that exists in the San Antonio region. Jesse Turner, while Design Coordinator at The Natural Learning Initiative, consulted with SWA Group and Terra Design Studios on the preparation of the design program, engagement with stakeholders, and the schematic design. We prepared a gallery of precedent images, presented our research and relevant work, and worked with the team to develop a detailed list of programmatic elements for the new garden. The Southern Highlands Reserve is a repository for natures beauty, boasting an extensive collection of native azaleas and ornamental native wildflowers.